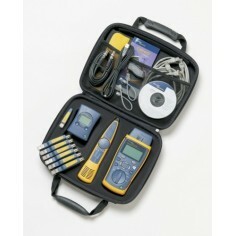 In 2002, Fluke Calibration launched the 6100A Electrical Power Standards. The 6100A has now been replaced by the 6105A and 6100B. 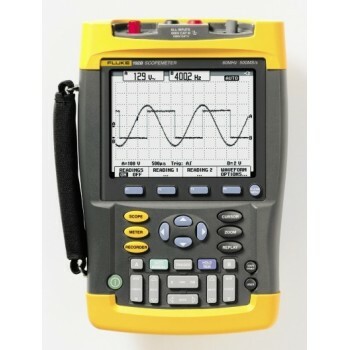 These newer models have the same power quality features and accuracy as their predecessors, to comfortably meet the accuracy requirements for current power quality testing standards. In addition, they feature improved accuracy to match that of the best measurement devices for sinusoidal waveforms. 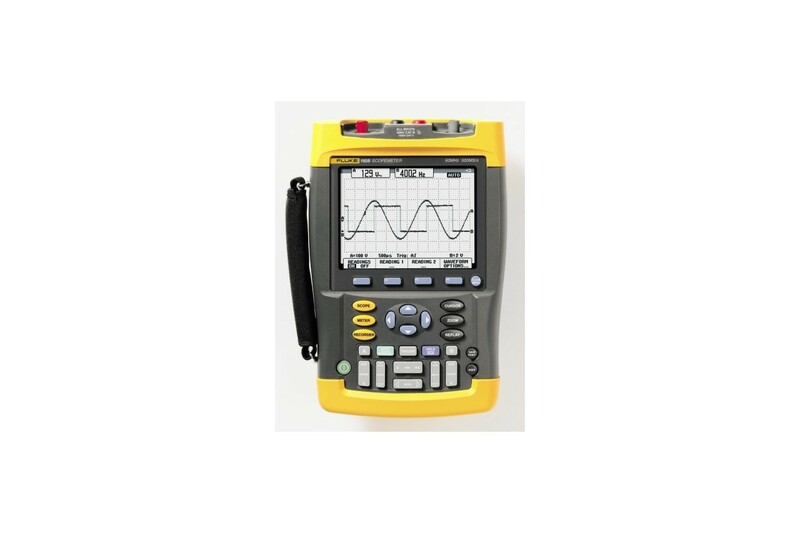 Few systems can match the 0.007% (66 ppm) one year energy accuracy provided by the 6105A for sinusoidal waveforms. Waveforms with high harmonic distortion are delivered with similar accuracy traceable to national and international standards. Choosing between a 6100B or 6105A depends on your accuracy requirements. Both models meet all accuracy requirements of power quality testing to the IEC 61000-4 series of standards. 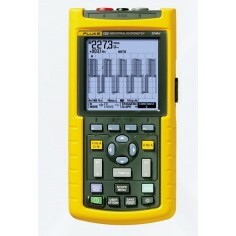 The 6100B can also be used to type test 0.1% to 2% energy meters. Choose the 6105A when you need the highest accuracy available for calibrating secondary standard meters, energy revenue meters and type test applications. The 6105A provides the accuracy required to verify the performance of secondary standards such as those produced by Radian Research, Zera, and MTE. Who needs a 6105A or 6100B? The 6105A and 6100B provide the signals to allow the processes described above to be completed effectively, quickly and by lower skill operators. More importantly, it ensures that the process of validation can be completed thoroughly, accurately and with all measurements being traceable to national and international standards. The 6100A was designed to produce a comprehensive array of electrical power quality signals with exceptional accuracy over one, two, three or four phases independently and simultaneously. The 6100B and 6105A products add even more utility and extend capability into the calibration of energy. The new products provide even more flexibility than the 6100A. Until now a system for three phases would require one 6100A ‘Master’ and two 6101A ‘Auxiliary’ units. The 6100B and 6105A Master units can be configured as Auxiliaries merely by reconfiguring communication cables. This gives many more options for combinations of instruments in different systems. A new 50A option has been added to the 80A already available. The 50A option can be configured so that all current ranges are available through the same terminals. The 6100B and 6105A will supply pure sinusoidal voltage to 1008 V and current to 21 Amps. 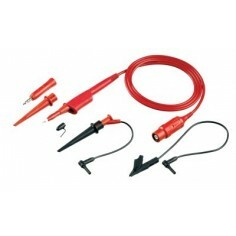 Up to 50 VA’s of power are available from the voltage terminals to support instruments which draw power from the line on which they are measuring, or where the voltage circuits of several devices are connected in parallel. Up to 14 V peak compliance is available from the current output to ensure current is delivered in setups involving long cable runs, connectors and switches, or where the current circuits of multiple instruments are connected in series. The current output is also able to produce an auxiliary voltage in order to simulate signals that may be produced by transducers or current probes. Higher ac current outputs are available from the 50A and 80A options. In addition to the values of V, I and phase angle set by the user, the on-screen display shows calculated values of real power (W), apparent power (VA), reactive power (VAR) and power factor (PF). Reactive power for non-sinusoidal signals is calculated by the 6100B and 6105A using any of seven user selectable methods. When 6100B or 6105A are connected to form three-phase WYE or threephase, three-wire Delta systems, the user may elect to view—for each phase individually or the three phase total—VA, power and VAR. Three-phase unbalance is also displayed with the choice of the IEC or the NEMA calculation method. In this mode of operation the 6100B can be used to calibrate or verify measurement of power, VA, VAR, phase angle, power factor, voltage and current on single or multi-phase instruments. The 6100B sets a new benchmark for accuracy in power standards. 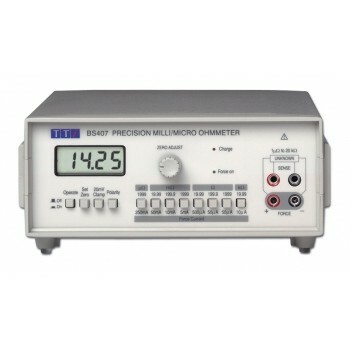 Voltage and current are generated with up to six digits precision and accuracies less than 0.005% (50 ppm). Phase adjustment provides for 1 milli-degree or 10 micro-radian resolutions. Phase performance is exceptional, with accuracy to 3 milli-degrees for the 6100B, 2.3 milli-degrees for the 6105A. In multi-phase systems, phase accuracy between phase voltages is 5 milli-degrees. The energy option adds a comparator to the 6100B and 6105A. Six input channels can be individually configured for “Meter Constant. The user has the choice of reference. The 6105A energy accuracy is as good as almost any external device; but the 6100B user may choose to use an external reference standard. Measured energy is compared with the reference value and a percentage error reported for each device being tested. The CLK option is an additional reference signal available from the rear panel. The phase reference: a CMOS logic signal with rising edge coincident with the positive going zero crossing of the fundamental voltage. Sample reference: a CMOS logic signal synchronous with the internal sampling. 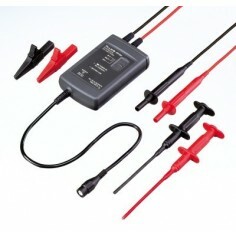 Can be used to synchronize sampling devices for system calibration. Reference signal output (available only when the ‘CLK’ option is fitted): TTL compatible 10 MHz or 20 MHz reference output signal derived from the system master clock. To overcome the inrush current of devices taking power from the voltage signal; the user may select 0 to 10 seconds slow ramp-up of the output. Microsoft Windows® user interface makes the 6105A and 6100B easy and simple to operate. The interface can be accessed through a combination of front panel knobs and buttons, or by connecting the user’s own mouse and keyboard. Actions are then viewed on the high resolution, eight-inch TFT display. Status information of all four phases is displayed, alongside more detailed information on current parameters being set or adjusted. Frequency domain and time domain representation of current signal types can be displayed on the screen, so the user can evaluate the effect of control settings before applying the signal to the output terminals. A context sensitive help window at the bottom of the screen guides the operator through instrument setup by providing control information and error messages. The 6105A and 6100B can be operated under remote control. Where multiphase systems are operated, control of the Auxiliary devices is via the Master unit. The 6105A and 6100B conform to the IEEE 488.1 standard and supplemental standard IEEE 488.2 The programming language complies with the Standard Commands for Programmable Instruments (SCPI). Complex instrument setups can be saved and recalled within the instrument or saved and recalled from a USB storage device.  6106A Electrical Power Standard – Auxiliary unit. 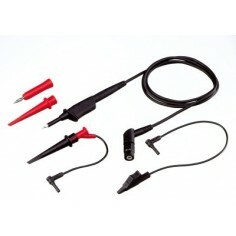 Requires the 6105A Electrical Power Standard Master unit to operate. 6101B Electrical Power Standard – Auxiliary unit. 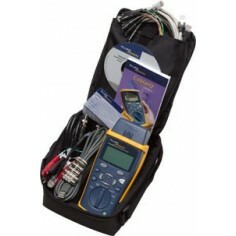 Requires the 6100B Electrical Power Standard Master unit to operate.